I ran out of time yesterday morning to post a project and just never found time to do it later in the day. If I was really on the ball I would schedule my posts the day before but I'm really not that organized! Today's card is one we made in my February class. I haven't shared it before now because each time I wanted to the photo was too horrible to put out in the universe. I think I took 3 sets of pictures of it and each time I got them uploaded and went to edit them with my watermark I could see how poor the quality was. So I would set it aside and do it again with the next group of cards I made. Finally a "good enough for government work" photo of it to share! My stampers really enjoyed getting to work with the Floral Romance Specialty paper from the Occasions catalog. Not only are the colors and patterns beautiful you get 2 printed vellum patterns which are really fun to work with! We used 2 of the regular patterns on this card and the Petal Pink design is the vellum. It's a great mix with the leaves and lacy vellum. The pieces are adhered to a Whisper White panel cut with the Stitched Rectangles die. A bit of Powder Pink ruffled ribbon (very close match to Petal Pink) wraps around the DSP panel. For the flowers I showed my stampers a fun way to use Stampin' Blends. Instead of stamping the flowers in Mossy Meadow and then coloring in the flowers we scribbled the blends onto Whisper White blending the colors together and then stamped the flower image over the top and then cut them out with the Frosted Bouquets framelits. We added a Mossy Meadow leafy branch and popped the flowers on dimensionals over the top. Add in a few adhesive sequins and this card is finished! 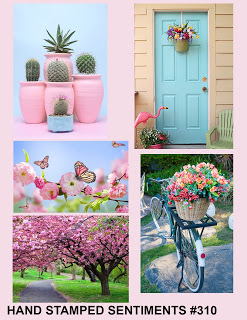 It's a great Mother's Day, Easter or all purpose spring card with those gorgeous pinks and greens! And now for some Stampin' Up! business; the Last Chance list has been released. Head over to my Stampin' Up! site to see what's retiring so you don't miss out! Sometimes you have a card in your mind and you just have to make it regardless of whether it's seasonally appropriate or not. I've had this Christmas dog card in my head for a while. Something about a black dog with a red plaid/checkered pattern was stuck in my head. So, happy spring to you all!! I present a Christmas dog 9 months early! Oh and it's also a Fab Friday challenge day! And we have this versatile sketch for you to work with! I know right?? It can be anything! Even a Christmas dog in April! Don't ever say the Fab Friday team doesn't give you choices! Oh and something about it being near the end of a catalog period always makes me re-evaluate all the stuff that I didn't get around to using or using completely up and it makes me feel a bit guilty but then I use some of it on a card and I feel better that I had "just the right thing" to make that card in my head. So this card is a combination of retired and current and maybe soon to be retired...we'll know soon! 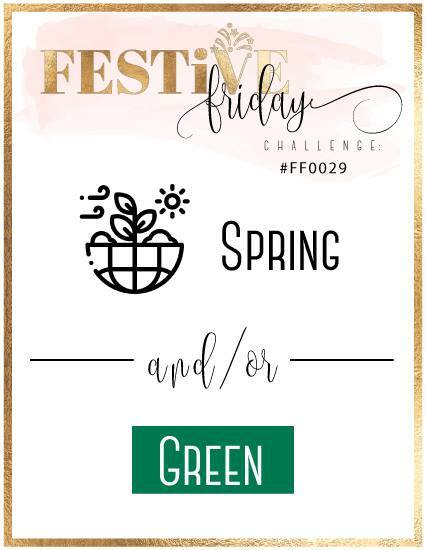 I hope you'll check out the awesomely talented Fab Friday Design Team and play along with our challenge this time! While the weather has been really pleasant the last few days it also means it's been time to get the yard into shape after winter and maybe a wee bit of neglect last fall. We've been doing some landscaping and tidying as well a lot of mulching so my time in the stamp room has been non-existent. But the yard is looking great and the mulch pile is dwindling so I hope to stamp some new projects soon! Luckily I have a few cards that I made a while back to share in the mean time! Happy Tails was the sleeper stamp set for me in the Occasions catalog. I just got it a few weeks ago after seeing so many cute things with. Sometimes you just can't resist a stamp set when it catches your attention! This card started with just a dog punched with the dog builder punch and then colored it in with Crumb Cake Stampin' Blends. I added the spots over the base color with Soft Suede ink. A bit of Blueberry Bushel 1/8" grosgrain ribbon for the collar. I popped the 'Good Pup' up with dimensionals on a stitched circle, added another one with the sentiment in Blueberry Bushel and a heart in Mango Melody. The paw prints are embossed in white on a strip of Blueberry Bushel cardstock and everything is on top of a Mango Melody panel embossed with the Dot to Dot embossing folder. So I'm off to keep calm with my mulch pile and I hope I can hold a stamp after wrangling the wheelbarrow and pitchfork for 2 days straight! The Butterfly Gala bundle is back! This stamp set punch combo was on the top of my list to order when the Occasions catalog was released to demos in December. I was so excited to show these products to my stampers. The mix of butterfly styles paired with a punch that punches both the large and small butterfly at the same time is just a great combo of stamping goodness. Unfortunately everyone else felt the same way and the products quickly sold out and Stampin' Up! couldn't replenish their stock fast enough so that the bundle became backordered for quite a while. I was only able to use the bundle as a class project once before it was backordered but now that it's back I will be for sure sharing this great bundle. And just in time for the beautiful spring weather! I made this card a few weeks back for a challenge using up some scraps of the Sale-a-Bration Botanical Butterfly DSP. I added a tiny bit of the Gingham Gala paper also to round out the colors. The card base is Highland Heather then the DSP squares are mounted on Whisper White then a layer of Daffodil Delight. I stamped some butterflies on the card base with Highland Heather then embossed the sentiment in white under the DSP panel. The butterflies are stamped in Memento and then colored with Stampin' Blends pulling the colors straight from the DSP. After they were colored I popped the butterflies with dimensionals and sprinkled some adhesive sequins and faceted gems across the front for a bit of sparkle. I hope you'll take a look at the Butterfly Gala bundle and see how you can use it for upcoming spring birthdays, Easter and Mother's Day. Happy Monday! Maybe I should start to do a Masculine Monday theme? That would challenge me to to do more guy cards which can be hard sometimes!! Having just spent our spring break away with all males maybe not! We had a great trip to South Carolina and explored the Charleston area and while the weather was not the best we did enjoy it. But now it's back to the grind and after updating about 37 things on my computer this morning I'm ready to get to checking things off of my to do list! First up is sharing this masculine birthday card that we made at my March stamp club. I've not used the Stamparatus very much in class so I wanted to design a card where I could show off some of the features. This card just kind of came together once I pulled out some colors to work with. The card base is Smoky Slate and using the Stamparatus we stamped the sentiments in Night of Navy and Basic Gray ink. The sentiments in the Itty Bitty Birthdays set are perfect for this technique...not too big and not too small. Each stamp is inked up only once and then stamped and the plate is moved down one notched and then stamped again and then repeated a third time. The process is repeated with the other color. Since each stamp is mounted just right for spacing on the clear plate it doesn't matter which one you start with. The flags are created by embossing the Mango Melody flag with the Subtle embossing folder and the Balmy Blue is stamped with the confetti stamp from Birthday Cheer with Smoky Slate ink. The flags are tied with a Night of Navy baker's twine bow. The party hat is embossed with white embossing powder on Night of Navy card stock then cut out and popped up with dimensionals over the flags. Sometimes it can be hard to design a masculine card since a lot of us stampers want to use so many accessories and 'stuff' and then it ends up looking fussy. So try to pare down when you're designing guy cards and you might find that it becomes easier! Cheers for Friday! Cheers for the start of spring break! 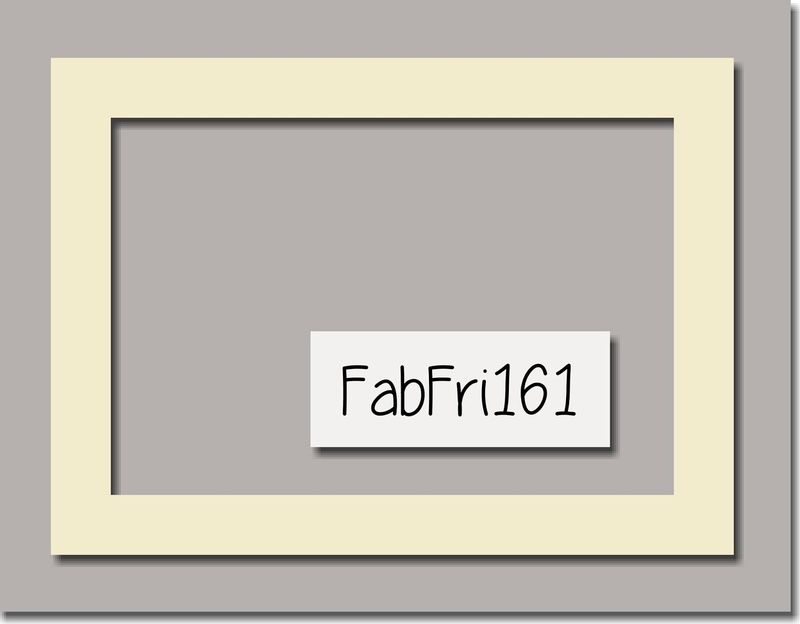 Cheers for a new Fab Friday challenge! 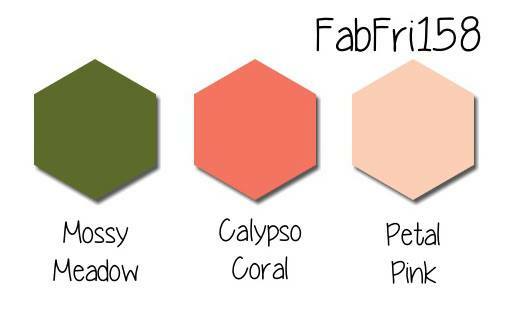 We have a fantastic set of vibrant spring colors this time around at Fab Friday. I can't wait to see the awesome gallery once you all upload your cards! These are great aren't they? It didn't take me long to decide that my project needed to have some flowers on it. Granted they are small but I think I still have the spring vibe here! It has been a hot minute since I used the P.S. You're the Best stamp set so I thought I would pair it up with these fun colors for a birthday card. And since we're winding down Sale-a-Bration 2019 I wanted to bring a bit of the Botanical Butterfly DSP in one more time before SAB is over. Nothing crazy going on on this card but it's a nice cheerful card that has a bit of an old timey vibe with the typewriter and botanical print. 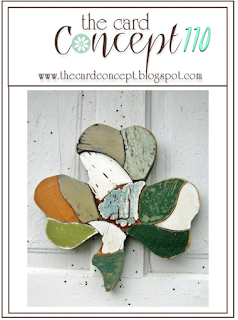 I hope you'll love this color combo as much as I do and will make a project to share in the Fab Friday gallery! It's been a busy week for me with preparing for Stamp Club so blogging has been pushed to the back burner but now I'm back to share one of my class projects. The All That You Are large flower image is beautiful but too big for a large group to color all the way in so I had them use it with the spotlight technique so they could color some but not have to do the whole thing. I pulled my inspiration from this card from a while back and used some fun bright colors. The colors come from the now closed Global Design Project challenge. Lemon Lime Twist, Grapefruit Grove and Daffodil Delight are fantastic against black accents. I think this color combo spoke to me on a gray rainy day when I was wishing for spring colors instead of the blah gray that we've been seeing a lot of. The spotlight panels are colored using reinkers and Blender pens. And pro tip here for you: if you've had your blender pens for a while and the tips are a bit frayed and soft it might be time to replace them. They will last a long time but will eventually dry out and the tips will break down. I'm late to the party with the dog builder punch and the Happy Tails stamp set but I kept seeing such cute projects made using them and then I looked at my supplies and I didn't really have anything like them so I went ahead and got them. I can't wait to play some more but this card came about using some card parts that I had after playing around with the stamp set but not really trying to design a card. I had been playing around with coloring the dog different ways so I didn't want to waste any pieces because this pup is just too cute. I decided to use the sympathy sentiment because it's always a good idea to have a few on hand just in case. Losing a dear pet is a hard thing as our family knows from experience. We had to say goodbye to our 15 year old Josie in November and you truly do feel a hole in the family. We have no pets at the moment and the house does feel different especially coming home. The card base is Whisper White thick then a layer of Crumb Cake embossed with the Corrugated embossing folder. Back in the day when the crimper was all the rage (remember that blue and orange contraption??) I struggled every. single. time. with it. I could never get any of my cardstock to crimp straight. Every piece veered off on an angle. This embossing folder pretty much makes that problem go away as long as you put the paper in straight! Next is a layer of Pineapple Punch embossed with white embossing powder with the bone and paw print stamp. The dog house is stamped in Blueberry Bushel and black, fussy cut then and layered behind the sentiment. The sweet pup is stamped in Soft Suede and then colored in with the Crumb Cake Stampin' Blends. After he was punched out I gave him a little Blueberry Bushel grosgrain ribbon bow for a collar. I have a few more cards designed with this sweetie and I look forward to sharing those in the coming days. I missed sharing a project the last 2 days as I've been working hard designing the projects for my next class and I didn't have any other cards to show. The "cards to upload" folder was woefully empty. It was a struggle designing for a bit as everything I tried out just was not right. I got into a groove finally yesterday and designed the class projects as well as a few others that I liked a lot but just wouldn't be good for class. 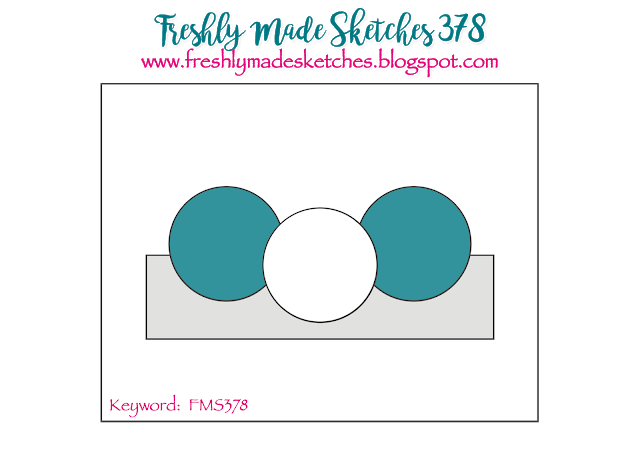 I was loving the Freshly Made Sketches challenge with all those little square elements. I was trying to come up with a masculine birthday card for class and thought that a clean and simple card using small pieces of the Wood Textures DSP might be just right. This design is a fantastic way to use up some little scraps of paper but probably not something you'd want to do with a group of 20+ in a class setting. It was a bit fussy lining up the squares and I see room for improvement but I like how it turned out overall even if it isn't good for a class project. The card base is Early Espresso; it's been a hot minute since I used this color but it's perfect for a masculine card. The next layer is Very Vanilla embossed with the Subtle embossing folder which I'm obsessed with lately. It gives just the right amount of 'something' without being over the top. I embossed the sentiment from Itty Bitty Birthdays in copper embossing powder. With a quick change of sentiment it can be any type of card as well. Next for the focal square piece with another layer of Early Espresso then a Stitched Shape die cut Very Vanilla square which I layered all the bits of Wood Textures DSP. I wanted to add just a little something to the square panel so I stamped a leaf from Rooted in Nature and cut it out and layered it on the edge. A bit of retired thick Very Vanilla twine is knotted around the stem. This was a fun sketch to play with and I may even have another card that I designed using it to share another day. That one didn't make the class project cut either but I think it came out cute anyway. The longer days and a bit warmer temperatures have our family outside doing yardwork and enjoying the sunshine on our faces! And of course thinking about spring flowers. My daffodils are blooming and giving some much needed color to the yard. We don't have any flowers as bright as the ones on today's card but we can dream! I don't make square cards very often and I'm thinking that this one was for a challenge a while back that I didn't post in time. It's a nice size that still fits in a regular envelope. The black and white striped pattern is from the SAB paper Botanical Butterfly DSP and just has so many lovely black and white patterns along with a colored side that it makes it hard to choose sometimes! The flowers from All That You Are are embossed in gold onto water color paper and painted with inks and aquapainters. I'm pretty sure the colors are Poppy Parade and Lovely Lipstick but don't make me swear to it...it's been a while since I made this card. The leaves are cut from watercolor paper as well and then just colored with Lucky Limeade ink and an aquapainter. All of those elements are popped up around the gold embossed sentiment panel. I had some lovely inspiration from 2 different challenges to make today's card. Spring time and pastels just seem to go together so I combined the theme of spring from Festive Friday and the inspiration photos from Hand Stamped Sentiments to make this sweet little spring theme. 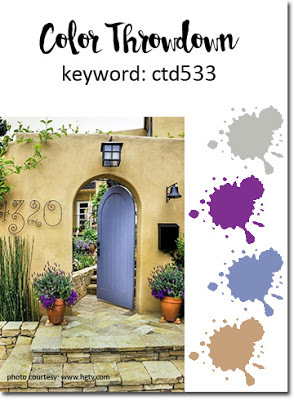 The door and all the porch accessories are fun to color in and make different with each new card. I used Stampin' Blends and pulled all of my colors right from the color palette in the inspiration photos. The card base is So Saffron and then a smaller layer of the same embossed with the Pinewood Planks embossing folder. To highlight the wood texture just a bit I lightly sponged some Whisper White craft ink across the card front. The images are all stamped in Basic Gray and then colored in. The flower pots and wreath are all popped on dimensionals. I had a little tiny linen thread bow in my card parts pile that I thought was just right to accent the wreath. I hope you're having some spring weather wherever you are this week! We made it to Friday people! 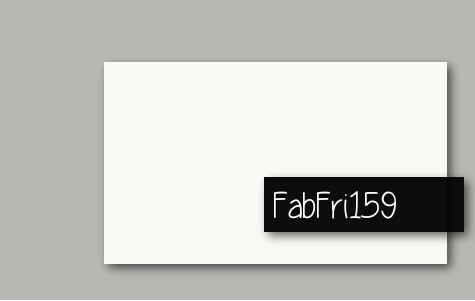 Give yourself a pat on the back and a reward of some stamping time so you can play along with the latest Fab Friday Challenge! We have a great, basic sketch that can be used for so many cards! I had a lot of fun creating for this one because I had some great inspiration! Some fabric again! A dear friend gave me a birthday gift in the most gorgeous handmade fabric gift bag that just had to be made into a card! Is it a gift or a curse to see stamping inspiration in so many places? So not the best photo but this is where my card colors came from. I used the long neglected Swirly Bird stamp set which is still gorgeous and fun to stamp with. The best part is this can be any kind of card with just a sentiment swap! Really nothing crazy on this card. I just had fun with the colors and the embossed Tin Tile texture. I hope you'll check out the rest of the Fab Friday Design Team and play along. We love seeing all of your creations in our gallery! I'm on a roll this week with challenges! With an uptick in the weather and warmer temperatures I was inspired to make a card with a summery, tropical feel. The current challenge at Global Design Project is a CASE the designer challenge so I pulled the colors from the sample to get busy with. The card base is Granny Apple Green, then a layer of Whisper White stamped with the various leaves from the Tropical Chic set in Granny Apple Green ink. The smallest leaf is stamped off once for a lighter look. I inked and stamped various combinations of the flower using Lovely Lipstick and Mango Melody. I used a sponge dauber to add a bit of the Lovely Lipstick to the edges of a few of them. Once I had the flowers cut out I layered them over a strip of the SAB Lovely Lipstick foil paper and the sentiment stamped in black. I had a little strip of the 1/8" grosgrain ribbon in Lovely Lipstick that I added under the one flower. Who is longing for summer now? Well maybe we should let spring have a bit of time first?? I've gotten a lot of mileage out of the All That You Are stamp set from the Occasions catalog. It's a nice mix of flowers of different sizes and and some sentiments. While I love creating with it myself and doing some coloring it's a challenge to translate that into a class for 30 people. To have that many people do a "coloring" card would take forever so I've got to come up with ways to show the stamp set to it's fullest but still keep it class friendly. For class last month I wanted to use the large flower bunch stamp without needing to have it colored so I turned to copper embossing powder. To bring in color I used multiple images of the single blossoms as well as some green leaves. Some of the flowers and the sentiment panel are popped up with dimensionals. I am on a roll the last few days with participating in challenges and actually getting them posted during the challenge time frame! It's a spring miracle! And speaking of spring we have sunshine today! My card today is inspired by the CAS(e) This Sketch challenge. It's a fun little off center layout which I flipped to the side just because I can! So I had a bunch of small pieces of the Gingham Gala DSP that I thought would be perfect for the polka dots in this sketch. I cut out various sizes in all 5 colors and layered them on a piece of Whisper White that is embossed with the Subtle embossing folder and then cut with a Stitched Rectangle framelit. The butterflies are stamped in Memento and then colored with Highland Heather and Daffodil Delight Stampin' Blends. They are punched and popped on dimensionals over the top of the circles. I added some iridescent sequins that are long retired or leftover from a Paper Pumpkin kit...I really have no idea! The final thing is the Easter sentiment stamped in Memento black. Looking at it now I should have stamped it before doing the embossing because it's a bit uneven. Oh well. When I showed this one to my husband he wanted to know why it is so empty on the other side of the card...*sigh* Anyway I think it came out cute and I made a set of 6 to have on hand. Now I just need to remember to send them out! Happy Monday! Is every one bleary eyed and tired from the time change? I hope not but if you are maybe some stamping therapy would help? I didn't get in the stamp room much over the weekend but I have a card to share that I finished up on Thursday. I used 2 challenges for this one; the sketch is from Freshly Made Sketches and the theme is from The Card Concept. A clean and simple (CAS) style allows for the little clovers to pop. 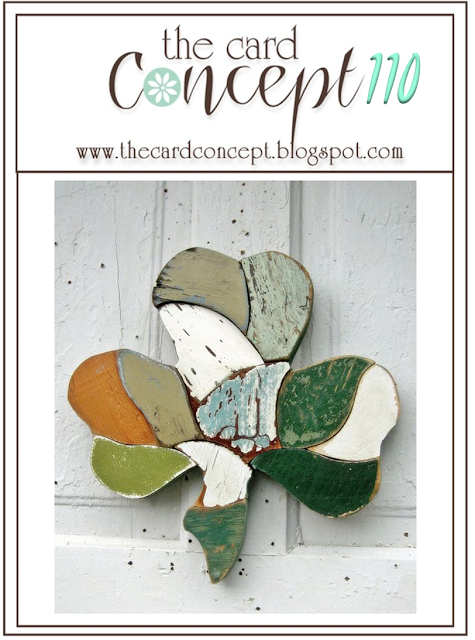 The idea of punched hearts to make 4 leaf clovers is not a new idea but I loved the idea of making little tiny ones to put in some vases for a good luck or St. Patrick's day card. I used some of the Gingham Gala paper in Lemon Lime Twist since it's such a nice bright color. The hearts are die cut from the Everyday Jars framelits in Granny Apple Green. The stems are from the Varied Vases set and the vases are punched with the Vases Builder punch. The sentiment is from Itty Bitty Greetings and is punched with a small circle punch and I added a little bit of gold twine for some of that pot of gold good luck feeling. It's been a while since I've been able to play along with some stamping challenges in real time. Usually I save the sketch or color combo and by the time I get around to making a card the challenge is long over. I had a bit of time yesterday afternoon to play around and I went right to a few of my favorite challenges and got started. I was able to make 2 cards using 2 challenges each. I thought that was pretty good and I hope to do some more today. I actually missed the deadline for the sketch (Case This Sketch) that I used for this card but I only missed it by hours so I'll count that as playing along! The first challenge that I looked at for inspiration was the Color Throwdown challenge which calls for gray, purple, lavender and kraft. To translate those into Stampin' Up! colors I used Smoky Slate, Basic Gray, Gorgeous Grape, Highland Heather and Crumb Cake. The Crumb Cake and Smoky Slate gave me some pause because I wouldn't normally pull these colors together. After browsing my stamps I pulled out the perfect set for these colors! Animal Outing! The kangaroo and koala stamp is just right! I stamped the image in Memento then colored it with Blends. The flower and stem come from the Varied Vases set. The flower is Highland Heather. The whole image is cut out with Layering Squares framelits and backed by another square in Gorgeous Grape. 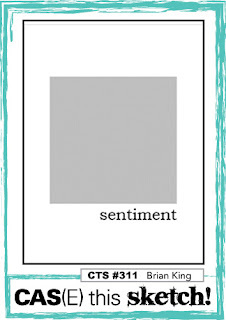 I stamped the sentiment from Itty Bitty Birthdays in Basic Gray so it would show up a bit more than the Smoky Slate. Some added details are the tiny little bow on the flower stem and some adhesive rhinestones for some bling on the flower and around the sentiment. I also rounded the corners of one side of the card to go along with the scallops of the main panel. A cupcake is always a sweet way to celebrate a birthday so I couldn't let Sale-a-Bration go by without using the Hello Cupcake stamp set. I designed this card for my January class and that was before Stampin' Up! told us they were creating framelits to go with this set! If you earned the Hello Cupcake set earlier in SAB take a look at the framelits you can buy to go along with them; they will give you even more idea of how to use this sweet set! This color combo was inspired but the fabric shopping trip with my mom in December. I have a whole bunch of photos saved for inspiration. I liked the 2 blues with the pink. The closest Stampin' Up! colors are Berry Burst, Night of Navy and Balmy Blue. 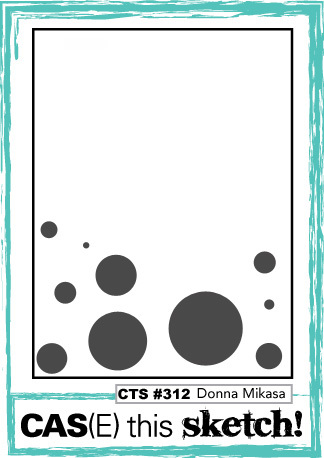 Fun things to note on this card; the Dot to Dot embossing folder is a great pattern for more whimsical cards. The frosting of the cupcake is stamped on White Shimmer paper for a little bit of a pop. It's fussy cut (but now you can buy the framelits!!) and popped on dimensionals. A bit of the SAB Balmy Blue organdy ribbon goes across the corner to bring in more of that shade of blue. The organdy ribbon is available again! To go along with the sunshine today I've got a bright and cheerful card to share! This color combo was out of my comfort zone at first but the more I played with the colors the more I liked how cheerful and sunny it was. We made this at my last stamp club and it shows off a variety of different products; the Birthday Cheer stamp set, the Gingham Gala DSP, Stampin' Blends and the Stitched Rectangle framelits. When there is a large sentiment in a stamp set I can sometimes just default to using it only on the inside of the card because it seems too big to use on the front but why not highlight it as a focal point and use the other images as the extras? We stamped the large sentiment in Smoky Slate and cut it with the Stitched Rectangles framelits. The gift is stamped in Highland Heather and then the bow and heart are colored with Stampin' Blends for that fun pop of color and then fussy cut. All the stamped images are popped up over a layer of Daffodil Delight Gingham Gala DSP on a Grapefruit Grove card base. The little sprinkles stamp is stamped on the card front. Moral of the card? 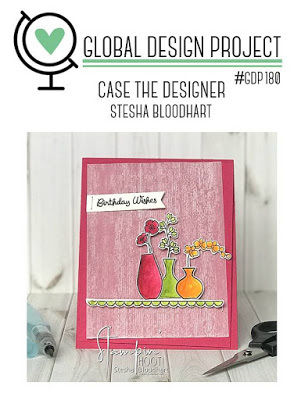 Don't be afraid of bright colors and use those big sentiments on the card front! Has spring sprung in your neck of the woods yet? The weather and temperature hasn't really been spring-like here in Central VA but the birds have started acting like spring has arrived! We have bluebirds building their nest in the box with the camera so we've been watching them bringing in grasses and getting it just right. They are so funny chirping back and forth and then rearranging what the other has just added to the nest. We've named them James and Elizabeth after James and Elizabeth Monroe the 5th president and first lady. We started our bluebird box with George and Martha Washington so we've just continued naming each successive pair after the next president and first lady. Hopefully we'll see some eggs soon! While I don't have much growing in the yard yet except for a few brave crocus bulbs I have some nice bright blossoms on a card to share. I like the navy and gold color combo and added some brightly watercolored flowers. The All That You Are set has beautiful flowers to color. I embossed them all in gold onto watercolor paper and then played around with watercoloring in Lovely Lipstick and Melon Mambo. I think I stamped about 9 or 10 flowers and just had fun coloring. The sentiment is also embossed on gold and really pops on the Night of Navy cardstock. The texture is a bit hard to see but the Tufted embossing folder is a very elegant pattern in the background. Happy Monday everyone! I hope that the weekend was good to you and you had some stamping time! I stamped some extra card kits from my class last week and now I need to remember to take photos so I can share them. I do have a card to share today though even if I did make it a few weeks ago. I don't need too many baby cards these days but it's always nice to have one or 2 in the card stash just in case. The little bird in the Hey Love stamp set in the Occasions catalog is small but oh so sweet! So if one bird is sweet then three is even better! Don't overlook this set just because Valentines day is over. It's a super set for all kinds of cards. I went with a baby boy color combo and used the Tailored Tag punch to created the background for the bird circles. The birds are stamped with Gray Granite and colored in with light Daffodil Delight Stampin' Blends and then the hearts are colored with the regular markers. 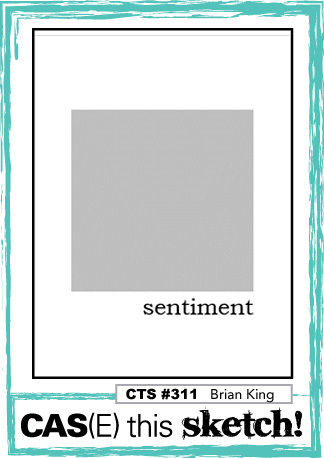 The sentiment is in the Itty Bitty Greetings set and is stamped in Night of Navy. The baker's twine bow across the middle is also Night of Navy. I can't seem to get my act together but once ever 2 weeks lately! At least I'm getting my Fab Friday cards done! This is such a beautiful color combination this time that it was very easy to design a card. Sometimes it's much more of a struggle! Check out these lovely Fab Friday Challenge colors! Can you say "spring", "flowers" and "Easter"? I'm not usually one for much pink but Petal Pink has really grown on me. Maybe it's because it's got a tad bit of peach in it and it's not a straight up baby pink? I felt like doing a bit of coloring and the Varied Vases set hasn't seem much action since the Occasions catalog was released so I pulled it out and started stamping. I like the simplicity of the orchid blossoms so that's where I started and built the clean and simple card around those beautiful blooms. I hadn't decided on any embellishments until I noticed a teeny tiny smudge of memento ink next to the vase. I didn't want to start over so I used some Old Olive linen thread (which goes well with Mossy Meadow and Pear Pizzazz just to let you know!) to cover over it. The card base is Petal Pink with a smaller layer of Petal Pink embossed with the Tin Tile embossing folder. 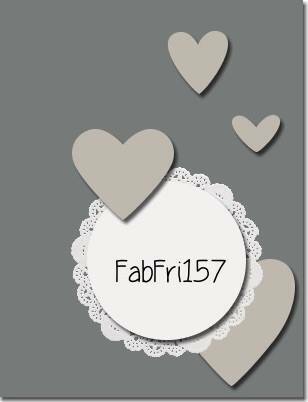 I hope you'll check out the rest of the Fab Friday Design Team and then join in. This color combination is too good to miss! It's amazing how fast 2 weeks goes by isn't it? I look at the calendar to plan ahead and see all the days stretched out and I think I have plenty of time and then BAM! the next thing I know all those days I thought I had are gone. Well that's pretty much how it goes before every Fab Friday challenge! I don't rush with my card (usually) but I feel if maybe I had started working a little bit sooner it might have been better. Am I the only one who feels this way? Anyway, we have a beautiful sketch for this Fab Friday challenge and I'm lookign forward to seeing what you all come up with for those scattered hearts. Remember you don't have to do hearts, it can be any shape. I wanted to have a nice cheerful card after several days of cold rainy weather. My colors came from some fabric I saw back in December when I took my mom fabric shopping. She does fabric, I do paper! There are always so many patterns and colors to inspire me I took a bunch of pictures and have been using them to inspire some cards. My Jar of Love stamp set hadn't seen ink in quite a while so I thought it would be perfect for a cheerful Hello card to go with this sketch. Absolutely nothing fancy going on here but I must say I really like the Subtle embossing folder lately. It gives a lovely light texture when you need 'something' but all the other patterns are just 'too much'. The Everyday Jars framelits were used to cut out all the shapes and the only embellishment I used was a tiny Night of Navy baker's twine bow. I hope you'll check out the rest of the Fab Friday Design Team's work and then join in with your own creation. I can't wait to see it in the gallery! Happy Valentine's day! I hope you get some sweet hugs and kisses from your main squeeze, your kids or your friends today. Valentine's day is not a huge event in our family because I like to think we show each other our love throughout the year and not just on one day. But nonetheless, I can't let the occasion go by without doing a card for my husband. As he's a fisherman I thought using the Best Catch set would be appropriate and so I turned this solidly masculine stamp set in a bit of a schmoopy (yes that's a technical term!) love card. Check out that little heart on the end of the line! The inside is fun too! Have a love filled day! If this dreary weather doesn't clear out soon I won't have any more projects to share with you for a while! I have a stack of cards in my stamp room ready to be photographed but the dark rainy days we've been having are not conducive to taking card pics! So fingers crossed for some sunshine or at least some brightening. I hope you're not sick of seeing the Hey Love stamp set because I am still loving these sweet animals! Today's card is less of a Valentine's Day and more of a hello, thinking about you card. It could even be a sweet baby card with a quick change of the sentiment on the tab. Don't get trapped into thinking a stamp set is just for one purpose based on it's name or even the samples in the catalog. 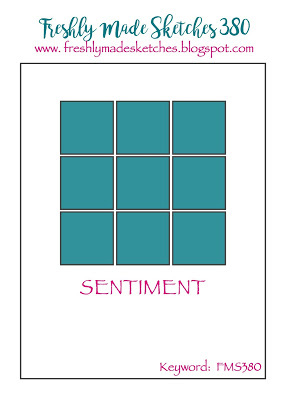 Swap out some sentiments and you've got a whole new set of card ideas. The card base is Smoky Slate and another Smoky Slate panel embossed with the Dot to Dot embossing folder. The sweet gorilla is stamped in Memento black and colored with Smoky Slate and Petal Pink Stampin' Blends. Once colored I cut him out with a Stitched Shapes square and layered it a panel of Petal Pink and Coastal Cabana. The tab is punched with the circle tab punch and then topped with a stamped heart and hello sentiment with the Tabs for Everything set. I added an adhesive sequin for a little something extra. Even though the Butterfly Duet punch is unavaiable at the moment you can still stockpile some cute card ideas for when it can be ordered. This card was one that my stampers made at my SAB & Occasions catalog kickoff back at the beginning of January. I had 3 colors they could choose from to make this design. My sample shows it with Daffodil Delight but I also had Wisteria Wonder and Lemon Lime Twist. I love black and white with a pop of color cards! They are usually crisp and clean and really lets you appreciate the stamp designs. The card base is Basic Black, then a layer of Whisper White. I used a long rectangle of the SAB reward Botanical Butterfly DSP. The Stitched Rectangle die works perfectly to cut out the sentiment. The butterflies are stamped on Daffodil Delight paper and then punched out with the Butterfly Duet punch. The butterflies are popped with dimentionals and the centers are highlighted with Gingham Gala adhesive sequins. The SAB organdy ribbon (currently unavailable) matched perfectly to add another pop of color. Once in a while I get a card idea and it just sticks in my head until I get it out onto cardstock. Once I got the Best Catch stamp set and coordinating Catch of the Day thinlets I began picturing a lot of different kinds of cards and one of them was a joking card using saying that I've heard from time to time. I think a lot of fishermen would agree with this one! I started with a Crumb Cake card base and added the little bubbles/fish scales stamp in Crumb Cake to cover the whole front. I pulled my colors from a bit of the Tropical Escape DSP and then started adding my water scene. The mat is in Shaded Spruce, then a layer of Whisper White stamped with the Labeler Alphabet stamp set to do the words. A bit of Pool Party cardstock embossed with the Seaside embossing folder. I trimmed the edge of the embossed piece and adhered it to the bottom of the Whisper White panel. I cut 2 cattails in Lemon Lime Twist and one in Shaded Spruce. I used Crumb Cake and Early Espresso markers to color the cattail tops. I trimmed the edges to stagger the heights and adhered them in front of the water panel. On the inside I finished the saying again using the Labeler Alphabet. Not my best alignment but I was so excited to pull this card together I did it just freehand and didn't use my Stamparatus. I cut a number of fish in Shaded Spruce, Lemon Lime Twist and Cajun Craze, added a bit of detail with the bubbles/scales stamp in Crumb Cake ink and adhered them swimming in both directions. I have several family members that I could give this card to and they would definitely agree...not only to decide who is the lucky recipient! Thanks for looking! Did you stamp today? Or maybe go fishing?? Today's card just screams spring to me and with the sunny warm weather we are having the last few days it's nice to look ahead to things greening up and flowers budding. Lasting Lily is one of the free Sale-a-Bration rewards this year and it is a fantastic mix of beautiful images and sentiments. I choose the Highland Heather and Daffodil Delight color combo for a bright, cheerful thinking of you card. It's always nice to have a few cards like this on hand to pop in the mail when you're thinking of someone. While the lily is beautiful with a lot of fine detail I will say that when using a very juicy ink pad I didn't have such great results so if you're having a bit of the same kind of trouble try using a dryer ink pad or even stamping off to see if that helps. I think extra ink can pool in some of the fine lines of the design and then they get lost when stamped to cardstock. The base of the card is Highland Heather, a layer of Whisper White topped with a piece of Gingham Gala DSP. The lily is stamped in Daffodil Delight, stem and leaf in Pear Pizzazz and the stamen lightly colored over with a Mango Melody marker. I cut out the flower panel with the Stitched Rectangle framelits. The sentiment was stamped on strip of Highland Heather in the same color ink and layered across the bottom of the flower panel and adhered with dimensionals. I haven't used adhesive pearls in a really long time but I thought their understated elegance worked wonderfully with this card.